Alameda, CA – Lafayette St.
Claremont, CA – Lafayette Rd. Chino, CA – Lafayette St.
Colusa CA – Lafayette St.
Fresno, CA – Lafayette Ave.
Glendale, CA – Lafayette St. It is a historic and affluent semi-gated neighborhood of Los Angeles. Mountain House, CA – Lafayette St.
Modesto, CA – Lafayette Ave.
Newport Beach, CA – Lafayette Rd. Oakland, CA – Lafayette Square Park. Located in Old Oakland. 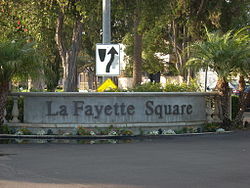 Also known simply as Lafayette Square. 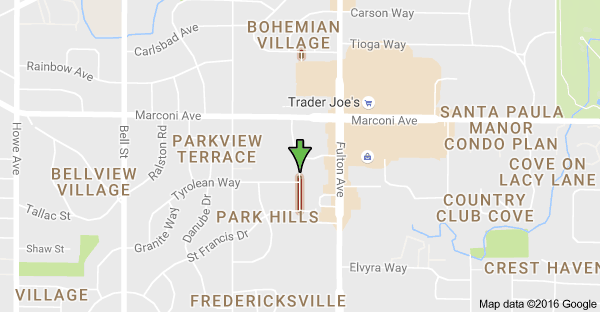 Piedmont, CA – Lafayette Ave.
Peterborough, CA – Lafayette Ave.
Riverside, CA – Lafayette St.
Rosemead, CA – Lafayette Ave. It is owned by the San Francisco Recreation and Park Department. San Gabriel, CA – Lafayette St.
San Leandro CA – Lafayette Ave.
Stockton, CA – Lafayette St.
Vacaville, CA – Lafayette Rd. Ventura, CA – Lafayette St.
Westminster, CA – Lafayette St.